Veteran Australian all-rounder Shane Watson announced Thursday that he would retire from international cricket at the end of the ongoing World Twenty20 tournament in India. Watson, 34, shared his decision to call it quits with teammates in Mohali, Cricket Australia said. "It's been over the last week that it's really become clear that now really is the right time to retire from all international cricket," Watson said in a statement issued by the national cricket body. Watson retired from Tests at the end of last year's Ashes tour of England and has not played one-day internationals since September last year. An opening batsman and a reliable pacer, Watson scored 5,757 runs from 190 ODIs. He also took 168 ODI wickets and holds the Australian record for the highest ODI score, an unbeaten 185 against Bangladesh in Dhaka in 2011. 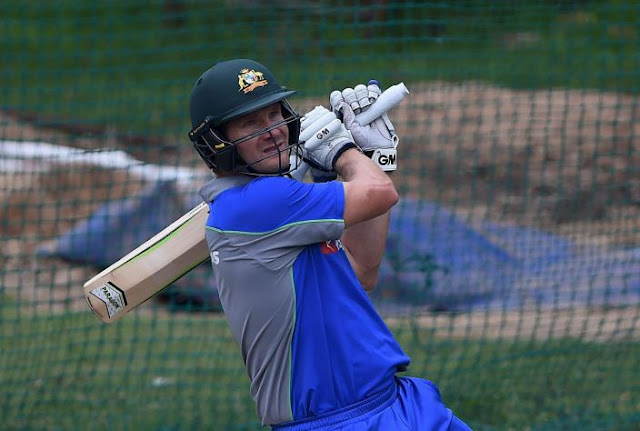 "I really enjoyed my time being back in the Australian squad but, it is quite different. None of the other guys that I played with growing up are here anymore." 0 Response to "Watson to quit after World T20 "